In the most recent DePuy ASR defective metal hip trial, an Oklahoma woman has been awarded $2.5 million after suffering metal blood poisoning or metallosis from DePuy ASR hip replacements. Andrea Smith, received ASR hip implants on each side in October 2006 and February 2007. 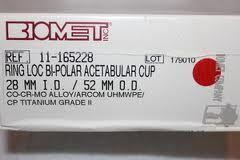 Smith’s blamed DePuy in her lawsuit, claiming that she had to undergo revision surgery to have the implants removed in 2011 and 2012, after being diagnosed with high levels of Cobalt and Chromium metal ions in her blood. The Stryker Rejuvenate and ABG II artificial hip metal implant global settlement which was announced in November 2014, appears to finally be gaining some traction as the policy and settlement procedures are being set down. Stryker Corp. agreed in November to pay more than $1 billion to settle lawsuits over thousands of hip implants recalled in 2012 after patients complained of early hip implant failure, pain, and metal debris causing metallosis from the devices. Stryker Corp. agreed recently this month to pay more than $1 billion to settle lawsuits over thousands of hip implants recalled in 2012 after patients complained of early hip implant failure, pain, and metal debris causing metallosis from the devices. Stryker will pay a base amount of $300,000 per case to patients who had the devices surgically removed. The hip implant device manufacturer is exposed to more than 4,000 suits consolidated in New Jersey state court and federal court in Minnesota. Johnson & Johnson was found not liable for personal injuries and product liability by a Texas jury in the first case to go to trial. The Dallas federal jury ruled unanimously against the plaintiff Kathleen Herlihy-Paoli, who said the two metal-on-metal Pinnacle hips she received in 2009 were defective and that the company failed to warn patients and doctors about the device’s risks. The slow moving train wreck that we call the Metal on Metal Hip debacle continues to grind on. For the thousands of patients who were promised the latest and greatest hip technology but instead were sold a pile of scrap metal, and the significant risk of metal poisoning, there maybe light at the end of the tunnel. 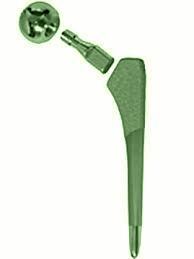 There has been some success in resolving the lawsuits involving thousands of defective metal on metal hips. Some of the lawsuits have been settled and thousands more are still pending against the metal hip manufacturers including Zimmer (now the new proud owner of Biomet), DePuy, Stryker, Wright Medical and Smith and Nephew that sold the metal-on-metal hip implants. The defective hip replacement lawsuits share similar allegations that there is premature catastrophic hip implant failure caused by metal cobalt and chromium release. The artificial hips are made of cobalt chromium alloy and the grinding action of the hip joint in daily activity causing the metal components to rub together, leading to the release of these toxic heavy metal particles. The first federal bellwether trial against Johnson & Johnson’s DePuy subsidiary for its allegedly defective Pinnacle Hip Implant has been underway for the past 3 weeks in Dallas, Texas. The U.S. District Court for the Northern District of Texas oversaw jury selection on September 2 and over the past three weeks there has been a parade of company executives, paid doctor consultants and defense experts subjected to withering cross examination by the plaintiffs team of lawyers. DePuy Orthopedics Inc., is facing the first bellwether trial over allegations that the Pinnacle metal-on-metal hip was defectively designed and caused metallosis. According to the plaintiff Kathleen Herlihy-Paoli, the cobalt-and-chromium alloy caused an infection that resulted in the artificial hips to be removed. For those patients who have been implanted with either a Stryker Rejuvenate or ABG II artificial hipmetal implant, I have an important update to share regarding the status of the defective hip product liability lawsuits and the Stryker hip litigation in general. 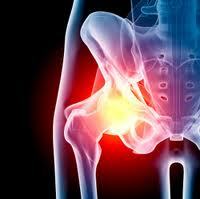 What is Stryker Rejuvenate Hip? The Stryker Rejuvenate is a modular metal based hip replacement, and was recalled from the market in July 2012, after the company indicated that it is subject to fretting, corroding and finally failing shortly after it is implanted. 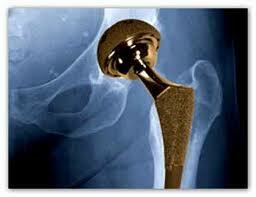 There has been some success in the lawsuits involving thousands of defective metal on metal hips. Some of the lawsuits have been settled and thousands more are still pending against the metal hip manufacturers including Zimmer (now the new proud owner of Biomet), DePuy, Stryker, Wright Medical and Smith and Nephew that sold the metal-on-metal hip implants. The defective hip replacement lawsuits share similar allegations that there is premature hip implant failure caused by metal cobalt and chromium release. The artificial hips are made of cobalt chromium alloy and the grinding action of the hip joint in daily activity causing the metal components to rub together, leading to the release of these toxic heavy metal particles. The release of these metal ions , causing metallosis, damaging tissues in the hip area and causes elevated blood levels of these toxins. According to the U.S. federal court where the Stryker Rejuvenate hip lawsuits have been consolidated, the cases in the multidistrict litigation (MDL) will be ready for trial during the summer of 2015. Stryker Rejuvenate cases, are heading to early trial dates, known as “bellwether” trials, which helps the parties determine how juries may respond to trial evidence and testimony.